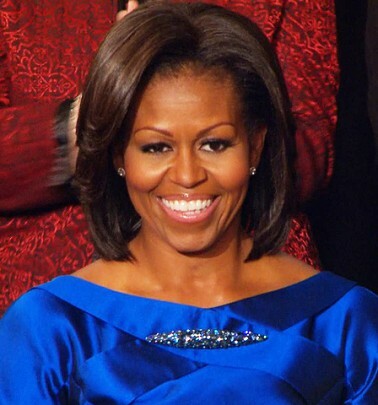 The First Lady of the United States looked absolutely ravishing at last nights State of the Union address. She wore Barbara Tfank's resort 2012 collection. Her hair and makeup were on point per usual. She looked radiant and youthful. 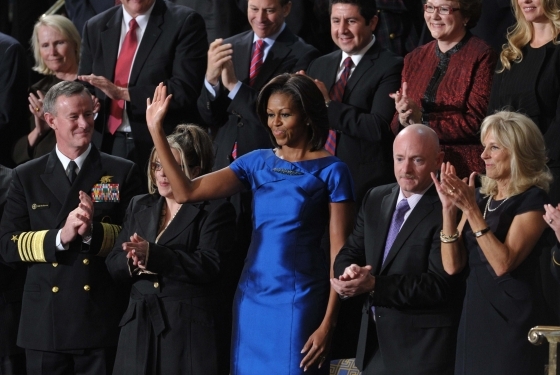 Last night wasn't just about what the FLOTUS wore however, President Obama gave a very endearing, powerful, and thought provoking speech IMO. I agree, she is ravishing and I love that photo too.